The result of each traffic accidents are necessarily negative consequences in the form of damage to property, health or life of citizens. Redress is made by insurance companies insured the liability of the owners. 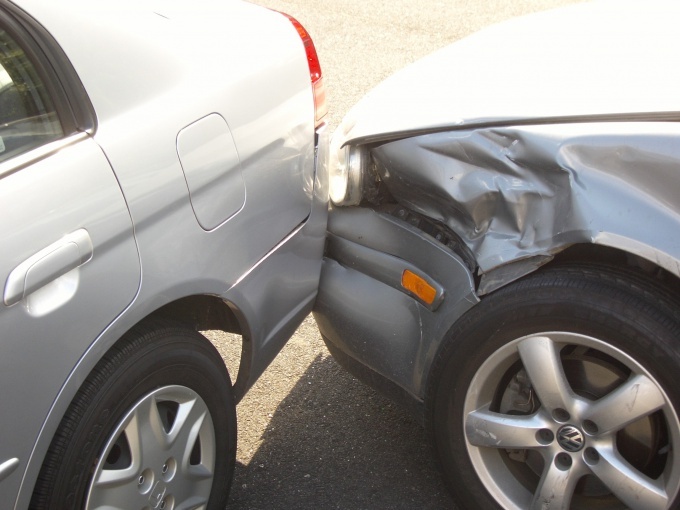 If you are involved in an accident and the fault of another driver caused you property damage, you are entitled to paymentsand insurance, which should make the insurance company of the guilty motorist. The law provides that if both vehicles are insured by compulsory motor insurance, and there are no citizens, health or lives are harmed, getting insurance can in a simplified manner, constituting together with the other participant notice of an accident without calling the police. However, the maximum size of insurance payments, which insurance company will pay is no more than 25,000 rubles, and if the damage is above this amount, you will have to make a complaint to the offending vehicle owner. So after the accident, first try to determine the extent of damage: if the estimated amount of damage to your mind exceeds 25,000 rubles, then call on the scene of the traffic police, which will make the Protocol and will issue you a certificate of participation in a traffic accident. In this case insurance in case of accident you will be paid in the amount of actual damages in the range of 120,000 rubles. Then contact the insurance company that insures the liability of the guilty party or your insurance company (in the case when they signed an agreement of indemnification) with the statement for payment of insurance indemnity and imagine the damaged vehicle for inspection and evaluation of damage. Then the insurance company will be the act of the insured event and made the insurance payment for CTP. If paid by amount of insurance you do not agree, then please contact the organization conducting the evaluation to conduct an independent examination. Then go to court with the claim about collecting from the insurance company the difference between the damage incurred and paid by insurance. The statement in the court use Protocol and the certificate of the accident drawn up by the traffic police, the conclusion of an independent examination of the cost of repair and receipts of payment for independent evaluations and pay the registration fee.